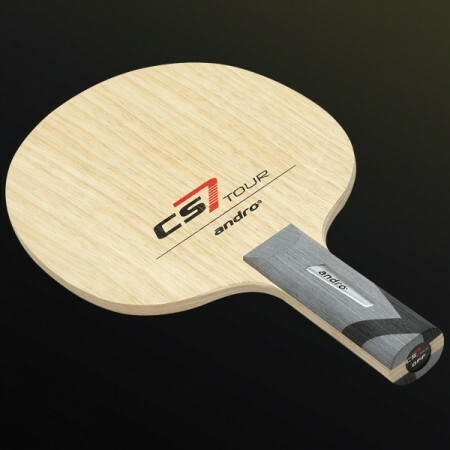 Compared to the PRO the CS7 TOUR is furnished with additional speed resources. The key to the noticeable power is the layer of Limba outer-plywood. Core- and intermediate plies in different thickness were perfectly matched together. Created for players who do not blow an easy point and constantly put pressure on the opponent with topspin strokes. sk7 of butterfly is now out of print. The seven plywood of the butterfly, but is you're using also professional players guy performance good many, delivers high performance Among this racket CS Seven tour off even the seven plywood racket, destruction at the time of the drive and smash force is considerable. A rubber La Zant power grip of the rotation system uses put to the fore, but it is nicely even with such Tenaji 64 and the full Rixon series of speed system. I was a junior high school student and I won this racket in the city. I can attack gangs at the fore, but if you swing it firmly you will not lose to the opponent's ball and you will have good compatibility with the back's hexer and rotation will take better, and Chiquita is also nice. The fore also takes a lot of rotation and can also produce heavy spheres. I am glad that the combination with the laksa is good. The shot feeling is very hard. Drive smash can hit without worrying about the opponent's rotation. I use a Chinese-style pen.